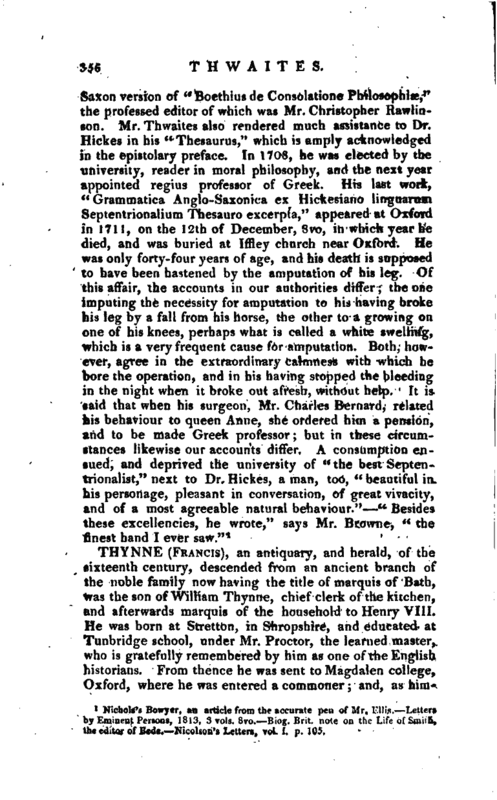 Nichols’s Bowyer, an article from the accurate pen of Mr. Fillis.—Letters by Eminent Persons, 1813, 3 vols. 8vo.—Biog. Brit. note ou the Life of Smith, the editor of Bede.—Nicolsou’s Letters, voL I, p. 105.